Are you looking for someone to ironing your clothes & garments in or around Skye for only $22.00 per hour? We service all South Eastern suburbs including Skye, Langwarrin and Frankston. I can also provide free pick up and drop off ironing services in the surrounding suburbs of Seaford, Patterson Lakes, Chelsea, Sandhurst, Lyndhurst, Mt Eliza and Mornington. If you’re in these suburbs or anywhere nearby and would like a personal quotation for your ironing needs, complete our online enquiry form and I will be in touch shortly. My professional ironing services are delivered in a reliable and friendly manner and I offer a 100% satisfaction guarantee on all our ironing services. My name is Pam and I own and operate United Home Services Ironing Skye. I provide Ironing Services in a smoke free environment, Dry Cleaning Services, and minor repairs with free pick up and delivery to your home or workplace. 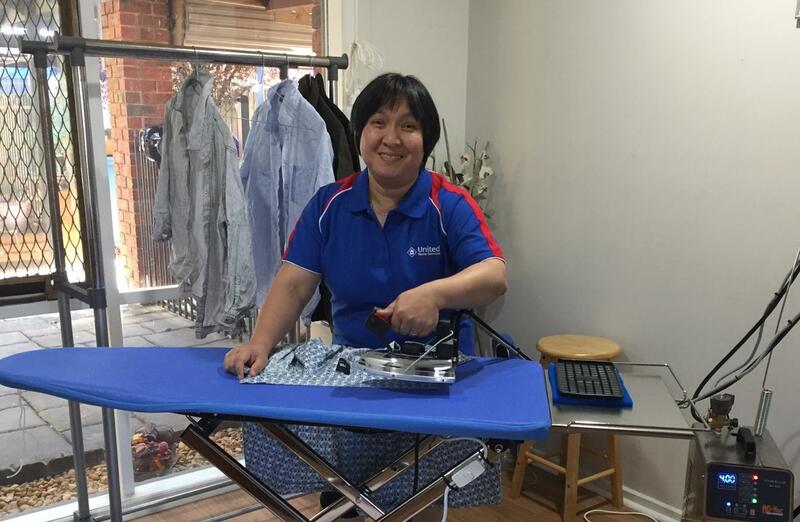 I operate a family run business operating across the South Eastern suburbs of Melbourne and are dedicated to providing the highest standard of ironing services in a reliable and professional manner. I use professional ironing equipment and are fully trained to handle a full range of fabrics.